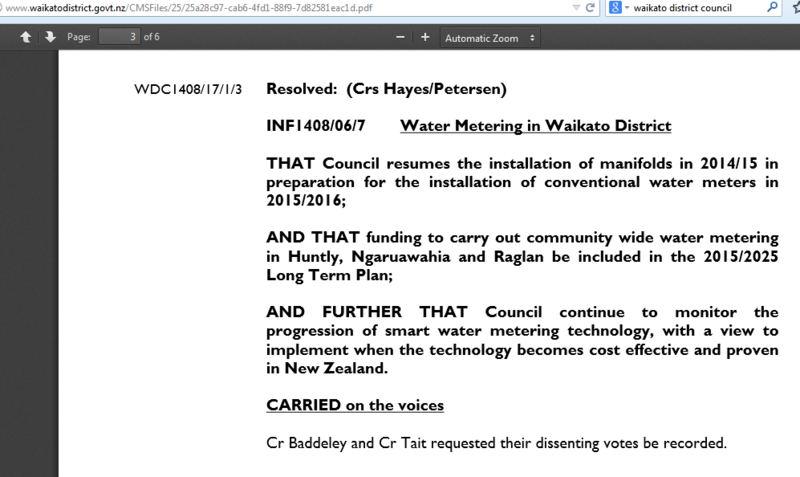 “Smart” water meters are currently being trialled in Tairua on the Coromandel and are being considered by the Waikato District Council (see links below for details). 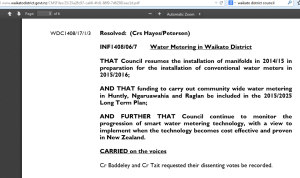 outlines how smart water meters can infringe people’s privacy. I subsequently wrote to the Council to inform the Mayor and Councillors about the potential health risks from wireless “smart” water meters, and encouraged other people to write as well.